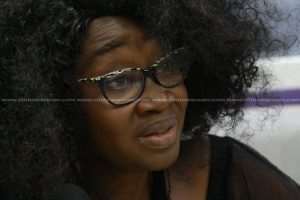 Daughter of Ghana's former Prime Minister, Kofi Abrefa Busia, Nana Fremah Busia wants the University of Ghana to be renamed after her father. Some public universities have been earmarked to be renamed after some key personalities who played diverse roles in Ghana's development. But speaking on the Citi Breakfast Show today on the legacy of her father, Nana Fremah Busia said naming the country's premier university after her father would be justified. “Kofi Abrefa Busia was the first African professor at Oxford University, at a time when most people had not seen classrooms, so are we going to honour him now with some universities that do not have gravitas? What about Legon. The African studies department for a very long time had the head of the department, Dr. Bami, who is Dr. Busia’s brother. But for politics, he would have been the first vice chancellor of the university,” she intimated. In May 2018, President Nana Addo Dankwa Akufo-Addo stated categorically that his uncle, Joseph Kwame Kyeretwie Boakye Danquah, a pan-Africanist and a member of the big six, is the founder of Ghana's premier university, the University of Ghana.